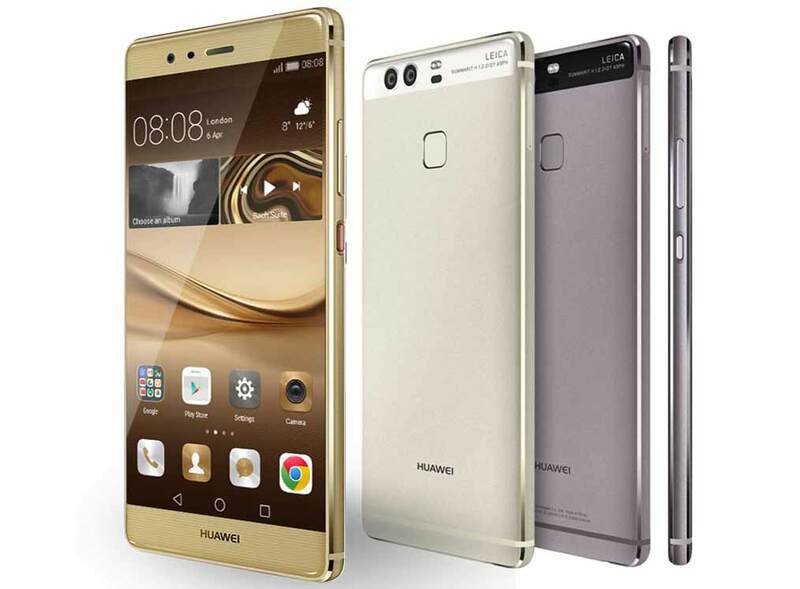 Huawei P9 Plus VIE-L29 and Huawei P9 EVA-L29 has been officially launched by the company. Both the P9 are accomplished with dual 12Megapixel rear shooter (by Leica) capable of recording 1080p videos and 8MP front selfie cam. Both are DUAL SIM smartphones with 4G LTE connectivity. Huawei P9 Plus VIE-L29 features a 5.5inch 1080 x 1920 pixels Super AMOLED Press Touch 2.5D curved glass display and there is Corning Gorilla Glass 4 protection on the top of it. The P9 Plus comes with 64 gigs of internal memory and runs on Android v6.0 Marshmallow. To make the phone alive there is 3400-mAh battery. It gets the strength from 2.5GHz Octa-core processor and 4 GB of RAM. The Huawei P9 EVA-L29 is accomplished with a 5.2 inch 1920 x 1080 pixels AMOLED display. It is boosted with 32GB / 64GB of internal storage and 3GB / 4GB of RAM. Not just that it also holds on infrared, USB Type-C port, NFC and Fingerprint sensor, similar to P9 Plus vieL29. For better graphics rendering and gaming performance there is Mali-T880 MP4 GPU. The P9 Plus measures about 152.3 x 75.3 x 7 mm and weighs 162 grams. It will compete with Huawei Mate 8, Nexus 6P, Nexus 5x, Xiaomi Mi5, LG G5, Samsung Galaxy S7 Edge, Galaxy S6, Sony Xperia Z5 Premium and iPhone 6S Plus. The Huawei P9 Plus VIE-L29 will be available at price of RS 51499. It will be available in Haze Gold, Quartz Grey, Ceramic White, Black colors. The Huawei P9 cost you about 42000 Rs.